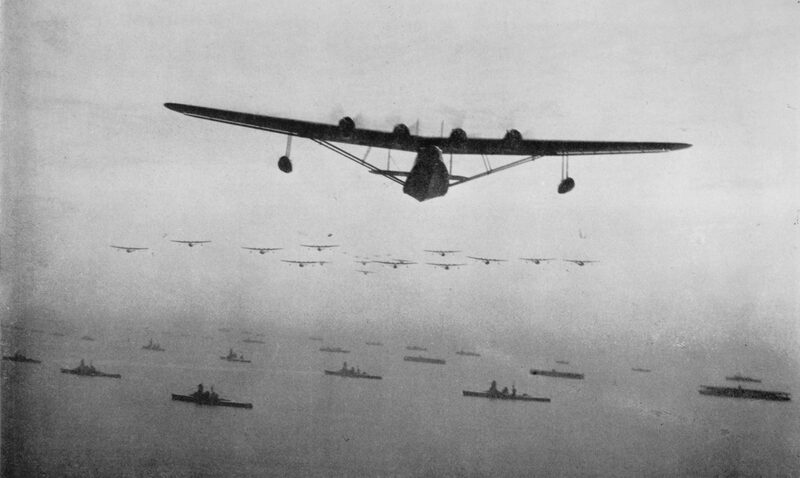 Naval parade of the Japanese Imperial Navy in Tokyo Bay. In the foreground is a flying boat Kawanishi H6K “Mavis”. III – aircraft carriers “Soryu”, “Hiryu” and “Akagi”.